El nuevo disco como solista, Substancia a la venta en todas las plataformas!!! The new live album/DVD from Dominican Fusion music Queen Xiomara Fortuna is out and available on Spotify. It was recorded in the summer of 2014 during the Festival de Jazz de Casa de Teatro in Santo Domingo. On this record I played saxophone for the first time with my favorite Dominican artist and it was a privilege and a joy!!! Available since September 2018. El nuevo disco en vivo/DVD de la reina de la música fusión dominicana ya está disponible para escuchar en Spotify. 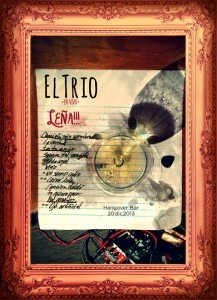 Es un álbum grabado durante su presentación en el Festival de Jazz de Casa de Teatro del 2014. En él toqué el saxofón por primera vez junto a esta gran artista, lo que fue un privilegio y disfrute para mí. Disponible desde Septiembre 2018! Drip Culebra is the first solo album by jonatan Piña Duluc. Instrumental, Avant-garde, experimental, soundtrack-like and deeply personal. It contains a suite of miniatures, a short piece suite and three longer pieces. Inflñuences are John Zorn, Bill Frissell, Luís Días y José Duluc (Areíto), Nels Cline and more…It will be available in the next months. 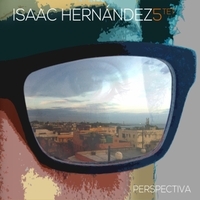 A Contemporary Dominican Jazz combo that plays the compositions of jazz guitarrist Isaac Hernández. Jonatan Pina lends his saxophone playing to this outstanding project. Live-in-concert DVD recorded on a one night stand of a show at Hangover Bar, a short lived joint that gathered rock fans and enthusiasts. Is avialable since September for live streaming and purchasing of videos and audio tracks.